A photo will be out of focus or blurry if you move the camera when taking a picture. This is particularly a problem for macro pictures with lots of depth of field, because the shutter stays open longer to capture more light. Even the tiny movement of pressing the shutter button to snap the picture is enough to blur a macro photo. For this reason, professional photographers often take pictures by pressing a button on a remote control instead of on the camera body. The Panasonic Lumix DMW-RSL1 is the official remote shutter release for the G1 and GH1 camera. However, it is really overpriced. You can obtain inexpensive knock-offs on eBay. Or, if you’re into electronics, you can make your own remote control for less than $10. It won’t be as slick and robust as a plastic molded control, nor will it operate from a single multi-function button like the official version (unless you use a special surface-mount button -- see the bottom of this page). 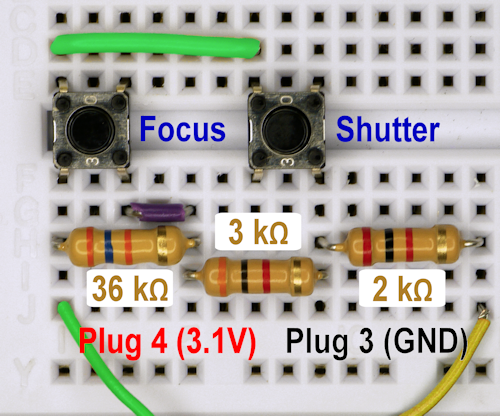 However, once you’ve created a manual shutter release, it’s easy to substitute a few transistors to put the camera under control of a microcontroller or other electronic device. When neither button is pressed, the camera sees 41 kilohms of resistance (36 kΩ + 3 kΩ + 2 kΩ). When the remote focus button is pressed (similar to a half-press of the shutter button on the main camera body), electricity will flow through the focus button instead of the 36 kilohm resistor. Thus, the camera sees 5 kilohm resistance (3 kΩ + 2 kΩ). When the remote shutter button is pressed (similar to a full-press of the shutter button on the main camera body), electricity will flow through the shutter button instead of either the 36 kilohm or the 3 kilohm resistor. Thus, the camera sees only 2 kilohm resistance. If desired, you could put a switch parallel to the remote shutter button path, to hold the button down for lengthy periods of time, such as for long exposures when in bulb mode (see page 92 of the manual). I don’t know the official Panasonic resistor values. Presumably, these resistor values were selected because they match the EIA standard values for common 5% tolerance resistors. If you don’t have these resistors, you can combine multiple resistors in series or parallel to emulate the desired resistance. Or, you could even use some trimmer potentiometers, although those are more expensive than just buying the correct resistors. Since I didn’t own any of these values, I purchased packs of 200 quantity, 1/2 watt, 5% tolerance, carbon film, through-hole resistors from Digi-Key for $4.50. (Part numbers 2.0KQBK, 3.0KQBK, and 36KQBK). I chose the moderately large wattage to make the resistor body and color bands easy to see in photographs. I chose the relatively large quantity because I'll use the resistor in other projects. However, my recommendation for anyone that wants a compact remote (without resorting to surface-mount resistors) is to choose the much smaller 1/6-watt resistors. 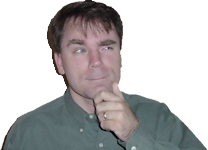 And, if you don’t regularly build electronic devices, save money by only purchasing in quantities of 5 for $0.32 (Part numbers 2.0KEBK, 3.0KEBK, and 36KEBK). 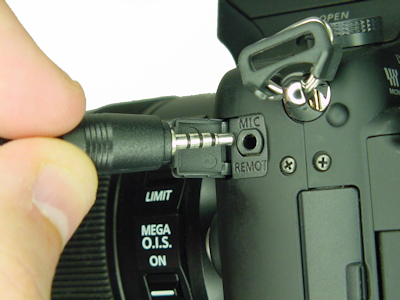 The Panasonic GH1 camera jack plug is a bit trickier. It is a slightly smaller diameter than most headphone jacks. It is a 2.5 mm four-conductor barrel audio phone plug. Someone successfully used part #090-504 from Parts Express for $4.50. 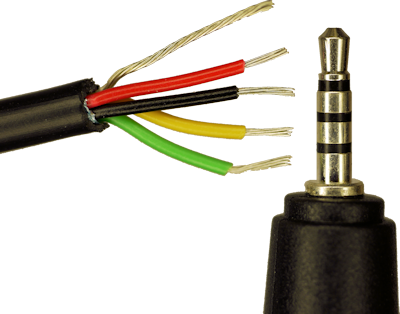 The oldest buyers reported that the tip isn’t wired, but a later buyer reported that the new cable is fully wired. Although the tip isn’t needed for this project, you may want to create your own circuit with a microphone. The Parts Express cable is advertised as 12 inches long, but a newer buyer said it was 3 feet (36 inches). Instead, I purchased part #CP-254S-M/M from Digi-Key for $6.09. 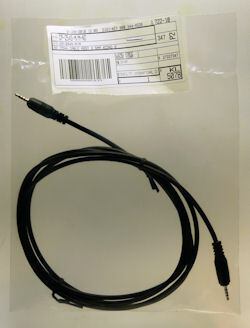 Unlike the Parts Express cable, the Digi-Key cable is six feet long and has a plug on both ends. That means you can cut the cable in half for two projects with three foot cables, or maybe a one foot cable and a five foot cable. I can confirm that all four conductors are connected and the cable is shielded (the wires are wrapped inside a metal foil). Wire colors for the 2.5mm diameter four conductor plug. The advantage of the Parts Express cable is that the wires are apparently stripped and ready to solder. But, if you’re capable of soldering this project together, I assume you can strip wires. I used a 12 AWG stripper to remove the cable insulator and 24 AWG to strip each individual wire. To confirm that you have the correct resistor values and layout, or for more complex experimentation, the remote shutter control can be laid out on a solderless breadboard. Panasonic GH1 camera remote trigger control circuit on a solderless breadboard. Plug 4 (power) is furthest from the tip. If you purchase pushbuttons with four connectors, they normally aren’t perfectly square. Instead, one side is usually a little bit longer. For my pushbuttons (Digi-Key #SW402 or Mouser #653-B3F-1020), the long side contains the leads that are connected together when the button is pushed. They were also the perfect length to fit over the gap in a smaller solderless breadboard. If you’re having trouble with your circuit, make sure that the buttons aren’t accidentally installed in such an orientation that they are constantly conducting as though they are pushed all the time. You can pull them out of the breadboard and measure the resistance across various leads to see which leads connect when the button is pushed and released. Notice there is no power provided by this circuit. The only voltage is being supplied by the camera. If you aren’t going to install a connector on the end of the cable, you should tape up the unused wires to ensure they don’t touch anything. After I verified that the camera operated using the solderless circuit, I made a more permanent board using a PB400 from Wright Hobbies Robotics for $3.99. Remote shutter trigger control soldered on perf board. Note: All four corners of each switch are soldered to the board (right side of above image) to connect to the resistors and groups of holes on the underside of the board. Instead of soldering the cable wires to the board, I attached them to a Molex KK connector so that I can switch out to a more attractive or hand-friendly controller in the future. Who knows, I may hook it up to the laser trip wire to see if I can capture some wild animals at night. 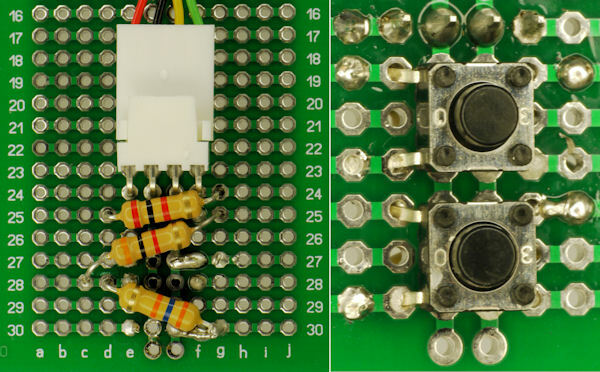 The new controller above is small, on a single-sided board with solder mask, and only needs a single button. This features a dual-action pushbutton like those used for real camera shutter buttons. This type of button connects a switch when the button is pressed halfway, and connects a second switch when the button is pushed all of the way. It is surface-mount, but has long enough leads to be soldered by most hobbyists. TL3350BF100Q (Mouser 612-TL3350BF100Q and DigiKey G4412CT). Unfortunately, I rushed the PCB design, making several mistakes. Firstly, the board could be narrower by nudging the surface-mount resistors closer together and not including such large solder pads for the pushbutton. Secondly, the resistors are accidently connected in parallel, rather than in series. I overcame that with a little math and used 43 kΩ, 5.6 kΩ, and 3.3 kΩ resistors.